CARL T. BOGUS, a professor of law at Roger Williams University, is a self-professed liberal. He is also a self-appointed biographer of America’s most significant conservative intellectual, and as such he follows John B. Judis, who published William F. Buckley, Jr., Patron Saint of Conservatives in 1988. The first major assessment of Buckley’s career and still the best book on Buckley, Judis’s biography proceeded from historical curiosity and ideological distance. Bogus strikes the same balance in his own volume, setting his effort beside the massive literature on Buckley and National Review written by admirers of the man and the magazine he founded, to such lasting effect, in 1955. Even Bogus is a fan of sorts, posthumously charmed by Buckley’s wit and winning personality. More than this, Bogus grants enormous stature to Buckley, labeling him “one of the most consequential figures in the latter half of the twentieth century” and describing National Review as “the most successful journal of opinion in history.” According to Bogus, Buckley transformed American conservatism from a sleepy traditionalism, at the edge of American political culture in the 1950s, into a dynamic, almost revolutionary force. When this force remade the Republican Party, with Goldwater’s presidential run in 1964 and then with the election of Ronald Reagan in 1980, it was the American polity that was transformed. Bogus does not give his readers a story of ideological evolution. At the center of a nation’s eventual transformation, he contends, was the ideological stasis of a single man. 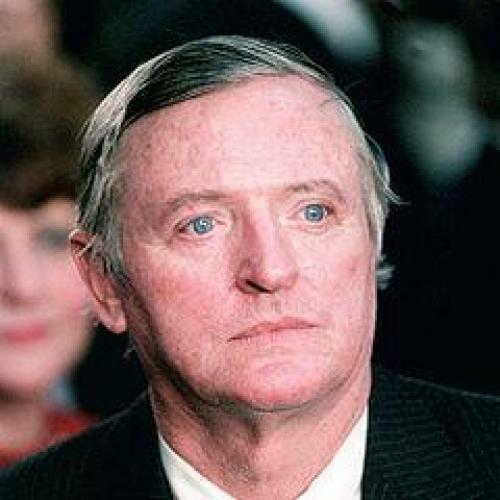 William F. Buckley, Jr.’s convictions were inherited from his father, a Texas-born Catholic, and to the father’s libertarianism and religious conservatism Buckley Jr. added a “neo-conservatism” imbibed from others. Bogus defines neoconservatism, somewhat simplistically, as an anti-isolationist foreign policy and not as a personality-driven ideological movement. Buckley’s genius did not lie in the discovery of these convictions, or in their amalgamation, but in the discovery of new ways to publicize and promote them. Here Bogus covers well-worked historical terrain. In 1951, Buckley translated his disaffection with Ivy-League liberalism into God and Man at Yale, an undergraduate’s polemic that reached number sixteen on the New York Times bestsellers’ list. After this, Buckley’s fame and family fortune helped him to launch National Review. Together with his unruly stable of editors and writers, Buckley articulated a “modern conservatism” in the language of American politics, as contemporary and forward-looking as it was deferential to particular traditions. (However oxymoronic it may be, the term “modern conservatism” is ubiquitous in scholarship on postwar American conservatism.) Buckley’s challenge was to push acceptable debate to the Right without validating the right-wing demons he could not accept: the demons of anti-Semitism, the demons of Ayn Rand’s atheist will to power, and the prolix demons who believed that Dwight Eisenhower was a communist. In Judis’s view, Buckley moved from anti-Establishment vitality in the 1950s to a comfortable and somewhat boring place in the Establishment by the 1970s. Bogus retraces this argument, emphasizing, for one, the fact that “Catholicism—or more precisely, a right-wing Catholic tradition—was integral to Buckley and National Review’s philosophy.” Buckley the Irish-Catholic had to write himself into American conservatism, to which Protestantism had long been organically tied. The energy behind Buckley’s celebrity, especially in its early years, derived from his being an insider and an outsider, an elitist at war with the (liberal and largely Protestant) elite and a (conservative) populist who played the harpsichord and spent his Christmases skiing in Switzerland. Amid a book that mostly paraphrases the work of others, Bogus makes two contributions of his own. The first concerns the “new conservatives,” the cultural traditionalists who did not share Buckley’s pro-capitalist and individualistic slant. The second is the claim that Buckley’s influence reached its apex less in the presidency of Ronald Reagan than in that of George W. Bush. Buckley’s power, as a conservative, was the power of association. He made connections where connections had previously been tenuous or non-existent. He united conservatives in journalism, academia, government, and corporate America, sometimes in print and sometimes around the dinner table. He associated the young with the old, the ideologues with the philosophers, and the lovers of economic liberty with the lovers of natural law. In doing so, he helped associate the Republican Party with his preferred synthesis of social conservatism, libertarianism, and a foreign policy of Wilsonian outreach. But he did not impose his vision upon American conservatism, not to mention the American body politic. His power of influence was far more limited. From Nixon to Reagan to George W. Bush, conservative politicians might refer to one or several or all of Buckley’s core convictions, without being subservient to them. Bill Clinton and Barack Obama have made similar references as candidates and later as presidents—Clinton to small government, for example, and Obama to the allure of Christian responsibility. This testifies to Buckley’s influence, but not to its linear nature. Throughout his book, Bogus capably mixes admiration with critique. He cannot quite believe how much Buckley wrote, how often and well he spoke in public, how deftly this straight-laced, affluent man “showed that conservatism could be fun,” and how richly the audacity and the arrogance of Buckley’s youth were rewarded by the vicissitudes of history. Buckley was the opposite of a young man punished for dreaming impossible dreams. Bogus also compiles a formidable syllabus of errors on Buckley’s part. Buckley flattered Joseph McCarthy and McCarthyism. In Buckley’s efforts to oppose the Civil Rights Movement, he employed white supremacist rhetoric. He and his fellow National Review editor James Burnham were an intellectual thorn pressuring Lyndon Johnson to move ever deeper into Vietnam. Once again, this has all been said before, though Bogus cogently reviews the relevant facts and citations. Where Bogus’s biography is more ambitious, it is less successful. He ends his analysis in 1968, stating that by then Buckley’s “goal had largely been accomplished.” This dubious point allows Bogus to shorten his book, and it saves him from the arduous job of aligning intellectual with political history. Though Bogus can prove the distance between Buckley and the new conservatives, he cannot prove that the new conservatives’ ideas have vanished in the past four decades. Indeed, Kirk’s and Nisbet’s ideas were there in the multiple conservative movements of the 1980s and ’90s, forming one context for George W. Bush’s compassionate conservatism, which was less libertarian and more activist than a conservative like Buckley would have wished. Bogus is lazy in his linkage of Buckley’s spirit with the administration of George W. Bush, asserting that Bush failed because of “his administration’s purist devotion to conservative ideology” and that Bush’s ideology flowed directly from Buckley’s pen. Points of evidence for this assertion are the Iraq War and the financial crisis that began in 2008. Yet Buckley aired searching criticisms of George W. Bush’s foreign policy, questioning its conservative bona fides—and casting doubt on Bogus’s free-floating use of the term “neo-conservatism.” Disagreements notwithstanding, the Bush White House honored William F. Buckley, Jr. in 2005, on National Review’s fiftieth anniversary. In 2003, the Bush White House sponsored a ceremony in honor of Russell Kirk. American conservatism is more syncretic and more haphazard than Bogus alleges. Missing from Bogus’s puzzle of ideas and politics is the period between 1968 and 2008. What begins as an open-minded investigation into an important American life concludes with the predictable liberal laments, cut free from historical argumentation and simply attached to Buckley’s name. Bogus’s weightless conclusion is a minor problem with less than minor implications. As a liberal struggling to understand American conservatism, Bogus would have been better off writing a companion volume to John Judis’s book. He could have begun with Watergate and the disastrous state of conservatism circa 1974. Careful scrutiny of Buckley in the Reagan era would elucidate the transition, among conservatives, from a constituency on the outside to one within the circles of power. Attention paid to Buckley in the 1990s would shed light on the paradox of a conservative polity that furiously consumes a culture of liberal and often radical provenance. One could finish with George W. Bush and the political drama into which he forced Buckley, the elder statesman of conservative intellect at odds with a president who proudly advertised his affection for National Review. If not the book that Carl Bogus chose to write, it is a book that many would choose to read, and would surely profit from reading. Michael Kimmage is an associate professor of history at the Catholic University of America. His book, In History’s Grip: Philip Roth’s Newark Trilogy, is forthcoming with Stanford University Press in 2012.